continue to check our website to place your order. 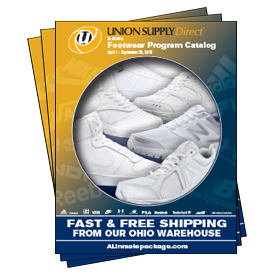 Family and friends can order a footwear package for their loved ones incarcerated in the Alabama Department of Corrections. The items presented on the shopping pages are pre-approved by the Alabama Department of Corrections so you can shop with the assurance that everything we make available is approved. Please see the Rules & Regulations section for more information on Footwear Packages. Important Information: Once you place your order with Union Supply Direct, we are required by the ADOC to get facility approval for each order. We handle this entire process for you and this approval process takes approximately 2 weeks. Your order will be shipped upon receiving approval by the facility and should deliver to the facility approximately 2 weeks after it is placed. Please allow 2 weeks before contacting our Customer Service in regards to the delivery status of your order.